Check out our awesome Shadowhunters boys chilling out in New York City. We'd love to have been listening in to all of their chat. Is it just us or is Alberto steadying himself on Dom really sweet? #Domberto forever. What are these three dapper chaps up to? 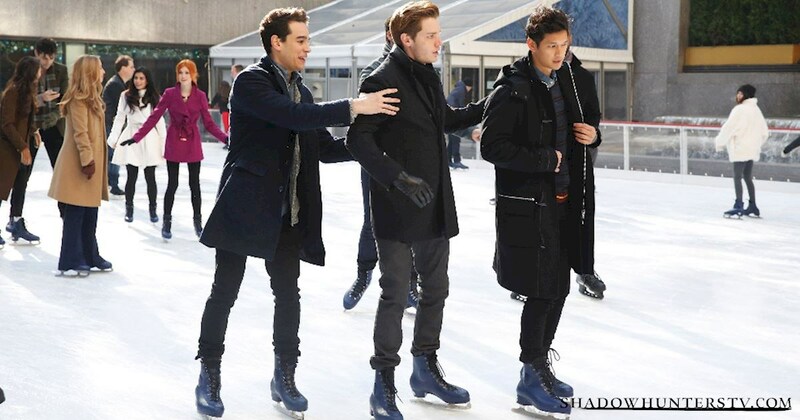 What could possibly go wrong when you put a Shadowhunter, a Mundie and a Warlock on ice skates? Let your imaginations run wild and tell us your favorite ideas in the comments below.